A dog’s overall health is determined by two factors: nutrition and grooming. One does not need to be an expert to conclude if their dog is suffering from a disease because more often than not, the fur says it all. But dog grooming is not just about keeping your dog’s fur shiny and presentable at all times. A well-groomed pet is vital in keeping homeowners healthy and their household clean. Aside from the usual rabies infection and skin allergies you can acquire from your canine pet, you are at risk of getting a dozen more diseases if you fail to clean them regularly. Ringworms and hookworms are microscopic species that live inside the intestinal linings of animals. It is quite difficult to spot infections, although humans would typically exhibit itchy red patches on the skin. Worse, infections brought by salmonella, Campylobacter, and other parasites can cause anemia, rashes, loss of appetite, and stomach pains. 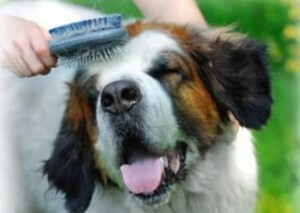 Proper dog grooming gives rewarding benefits such as improved temper, longer life, and enhanced intelligence. But in reality, pet grooming is a tedious task let alone an expensive one. Many pet owners succumb to the challenge after several months or years of the routine. With this, it is important to start groom train your dog during its formative years or as early as when they are puppies. Doing so will help you lessen the time spent and difficulty bathing, brushing, clipping the nails, or cleaning the ears of your dog. Brushing should be done at least twice on a daily basis; otherwise, your dog’s hair will be prone to matting. Due to the dog’s various activities, the fur is exposed to dirt and oil, which in turn causes tangling and irritation. Regular brushing also helps remove dead skin cells, thus relieving the feeling of itchiness and irritation. When left untreated, a premature fungal infection can lead to mange or dermatitis. Long-haired dogs may need to undergo initial hair trimming. Long hairs are more prone to shedding even with regular brushing. Trimming also prevents matting on critical areas such as the belly, back of ear flaps, tail, toes, and genital areas. Unfortunately, dogs are naturally short-tempered, so begin the brushing routine as early as three weeks old. Choose a comb with large bristles especially for long-haired breeds in order to minimize tension on the strand and stress on your pet. Some dogs automatically feel defensive when they are due for bathing. One of the reasons is the absence of a fixed schedule. 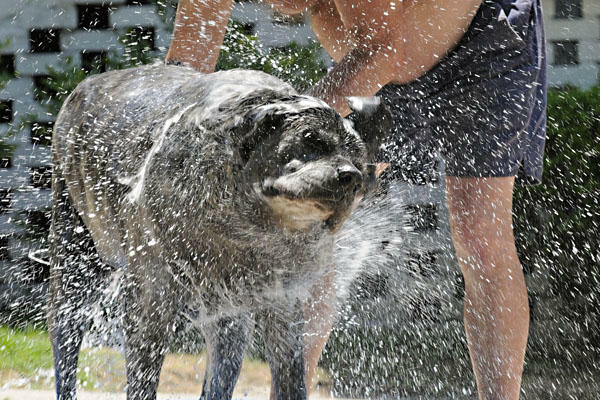 The American Society for the Prevention of Cruelty to Animals recommends that dogs are bathed every three months, although occurrences may increase during the hot and humid season. Before bathing, make sure that all tangles and mats are removed. Use preferably mild organic shampoos even if your dog is suffering from a certain skin disease. Too much chemicals in the soap or shampoo can worsen skin irritation. It is important that the dog feels secured even on wet situations, so do not spray water directly toward the eyes, nose, or ears. Gently massage the shampoo from head to tail, carefully avoiding sensitive areas. If the soap accidentally reached the inner ears, dry it out using a towel. When using a blow dryer, monitor the level of heat. Dogs are more sensitive to hot temperatures than cold environments. Dogs especially the young ones are playful during bath time. You can urge them to calm down a bit by placing a favorite toy on the tub during the entire time. 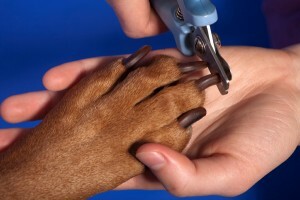 Clipping nails is important not only for hygiene but also for your dog’s safety. Long nails can damage the surface of the skin or ears from your pet’s continued scratching. Your dog can even pierce its eye accidentally, which can lead to permanent loss of vision. Before clipping the nails, inspect each finger for matting, ticks, or debris. Use a guillotine type clipper and cut the nail on a straight angle just before the “quick”. The quick is the pinkish nerve inside the dog’s finger. When cut, the nerve bleeds out and you may find it harder to urge your dog to redo the clipping. Canine breeds like Lhasa Apso, Shih Tzu, Alaskan Malamute, and Chow Chow have thick double-layered hair that extends to the floor when left untrimmed. On the other hand, Pugs which are known for its wrinkled faces require special attention to remove dirt in between the skin folds. 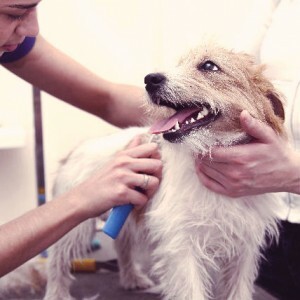 In this case, you may need to use the services of dog grooming experts like PetSmart, which offers complete package from bathing, tick and flea treatment, nail clipping, and haircut. They say that caring for dogs is like caring for a toddler. It takes appropriate knowledge, patience, time, and love to maintain the highest quality of life possible for them. Grooming is a lifetime commitment – a bond that strengthens loyalty of dogs to their pet owners.